iPhone and iPad Apps: Make Photos tell your story by adding beautiful looking text to your amazingly taken photos on Apple iPhone and iPad with this best and useful app for iOS. Sometimes a photo alone can't describe whats the meaning behind it but with some text on the photo we can easily convey what we want to say actually. 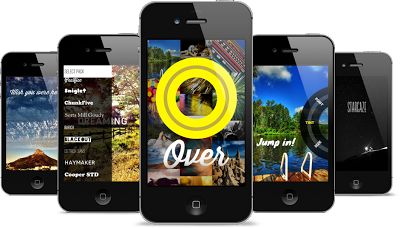 Over App is available for both iPhone and iPad, This app let's you add text with good looking typography to photos which you can share on popular social networks like Facebook,Twitter and Instagram. Scribeit is also available for both iPhone and iPad, With this free and useful app you can add text with many interesting effects to your photos. Some features of this cool app include a wide collection of over 100 fonts,photo filters,custom stickers etc.